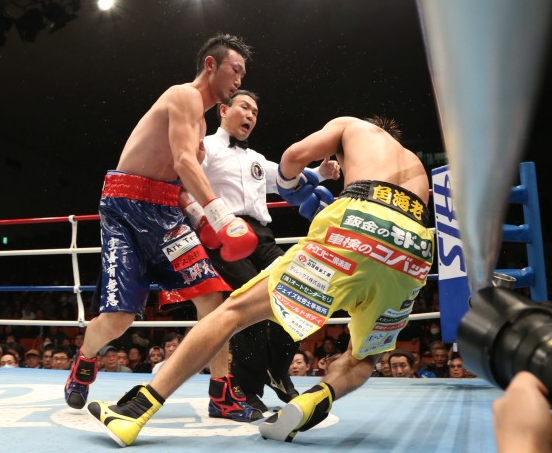 Japanese Light Welterweight champion Keita Obara (10-1, 9) recorded his 10 straight victory as he made the second defense of his national title. The hard hitting champion, facing off against Tetsuya Hasunuma (7-5-3, 3), had to over come some early problems caused by the challengers movement. Unfortunately for Hasunuma however when he his movement slowed Obara applied increasing pressure. Obara's pressure began to really pay off in round 8 as the men traded shots with Obara's being the much heavier and devastating. By the end of round 8 you could tell that Hasunuma was wilting and mid way through round 9 Obara manage to finish off the game challenger. With this defense out of the way Obara really should be thinking about turning his attention to the OPBF title at 140lbs. If he does then that could lead to a very interesting, highly exciting and hugely explosive clash with Min-Wook Kim. Keita Obara v Tetsuya Hasunuma to be televised! Just days after Fuji TV showed the huge show at the Ryōgoku Kokugikan the channel air yet more boxing. This time it's the turn of Japanese national champion at 140lbs Keita Obara (9-1, 8) who will be defending his belt for the second time. Obara will be fighting against Tetsuya Hasunuma (7-4-3, 3). Best known as "the man Manny Pacquiao sent home" Obara is a hard hitting and generally exciting to watch fighter. Although he lost on debut he has gone on to win 9 straight with 8 of those coming by KO/TKO. Although not the best challenger Hasunuma could give Obara some questions. An upset is unlikely though to us this looks like a show case bout for Obara more than anything else. 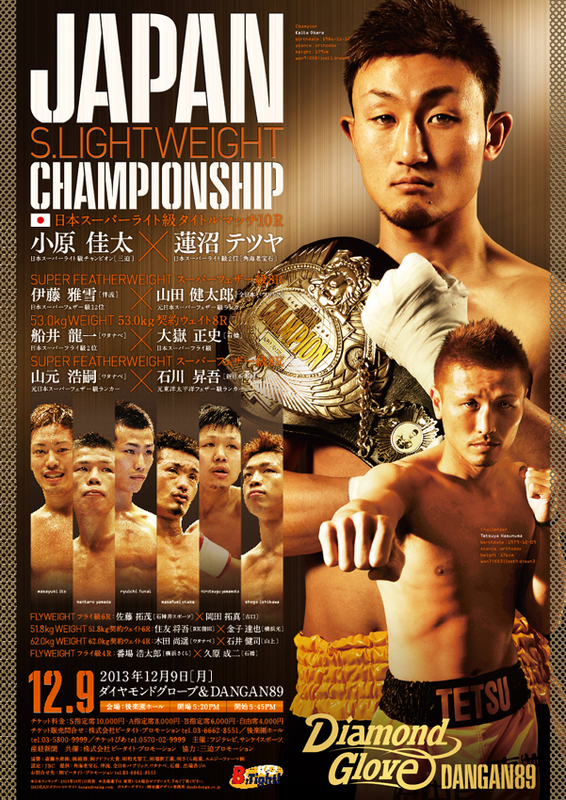 The fight is expected to be shown at 16:00 Tokyo time on Fuji TV and we hope that this is the first step before Obara hunts down an international fight of some variety, perhaps even an OPBF title fight with Min Wook Kim.